Cost to install a sprinkler system varies greatly by region (and even by zip code). Get free estimates from sprinklers and irrigation professionals in your city. Cost to install a sprinkler system varies greatly by region (and even by zip code). 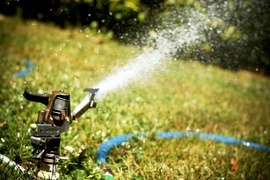 Get free estimates from sprinklers and irrigation professionals in your city. How much does it cost to install a sprinkler system 1? Depending on your climate, an automated sprinkler system 1 can be a must-have for your lawn. Regardless, it is always a great convenience and can help conserve water. For this example, we’ll look at the cost of installing a sprinkler system 1 in a standard 8000 landscaped square foot lawn, which averages $2500-$3500. Although it is possible to install a sprinkler system 1 on your own, hiring a professional is recommended. Materials: a standard pop-up sprinkler head 2 averages $2-$4; most lawns use 10-15 sprinkler heads. Standard PVC pipe averages $0.25 per linear foot. A standard project requires around $400-$600 in PVC pipes. If installing the sprinkler system 1 on your own, you’ll need to rent a trenching machine for $150-$170 a day. Lawn repair after the trench has been dug will cost another $500-$1000. Labor: landscapers typically charge $45-$75 per hour and can install a sprinkler system 1 in three to four days (24-32 labor hours) for a total labor cost of $1080-$2400. The highest rates depend on whether it is needed to restore sod and plantings or not. Adding an automatic timer adds $200-$300 to your total. Sprinkler valves 3 can be added to each head to better control the water pressure. They average $15 each. In many places, installing a sprinkler system 1 and digging into the ground requires permits and approval; check with your contractor for information specific to your area. Although standard sprinkler heads work well in most areas of landscaping, you can also get bubble sprinkler heads 4 or other specialized heads for watering flowers or trees. Your landscaper should be able to provide recommendations based on your climate and landscaping. Installing a sprinkler system 1 designed for trees will increase the price around 45%, whereas sprinklers designed for flower beds are 15% less expensive than the standard sprinkler system 1. Some landscapers may offer discounts if you install the sprinkler system 1 on bare dirt and combine it with other landscaping or sod installation services. 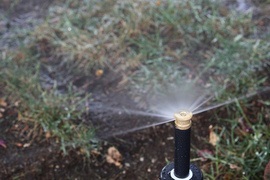 If your home has a working irrigation system 1, connecting your sprinkler system 1 shouldn’t be a problem. If there isn’t an irrigation system 1, it can add $500-$1000 to your costs. Lawns that have hills and a unique shape may be more difficult to install a sprinkler system 1, which may increase your project total and the time required around 20% more. How much does it cost to install a sprinkler system in my city? Cost to install a sprinkler system varies greatly by region (and even by zip code). To get free estimates from local contractors, please indicate yours. 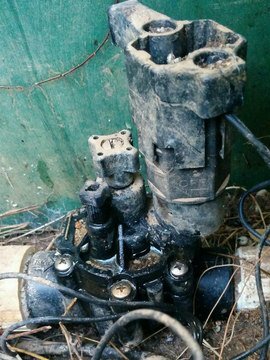 Cost Considerations: Sprinkler valves can be added to each sprinkler head to better control water pressure. They average $15 per piece. Cost Considerations: Installing a sprinkler system designed for trees will increase the price around 45%, whereas sprinklers designed for flower beds are 15% less expensive than the standard sprinkler system. A standard sprinkler system for an 8,000 sq. ft. lawn costs about $2,500 to $3,500.